A simple guide on how to dual-boot of remix os with windows (UFEI/Legacy) aka Installing Remix OS 64-bit on HDD. Your Windows OS will remain untouched. None of your files on C:\ Drive will be harmed. All your internal storage media will also remain intact. On every boot, you may have options to choose what you want to load, remix os or windows. No need to change your BIOS mode from UEFI to Legacy and vice versa. This method will work for all 64-bit computers. Check here for 32-bit remix os dual boot guide. Dual Boot Remix OS with Windows UFEI/Legacy. Step 2. 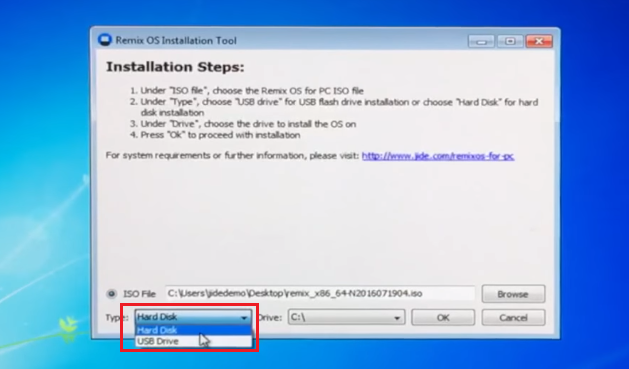 Unzip the zip file and run the Installer tool, select the ISO file and in drop-down menu choose “Hard Disk” and chose a hard drive and click next. Now click ok, let the installer do it work, kill your time visiting some interesting funny sites, or google trick will work. After few moments, you’ll see the start screen, play store I’m coming. That’s all we know about dual booting remix os 64-bit, we already covered posted dual booting 32bit of remix os. 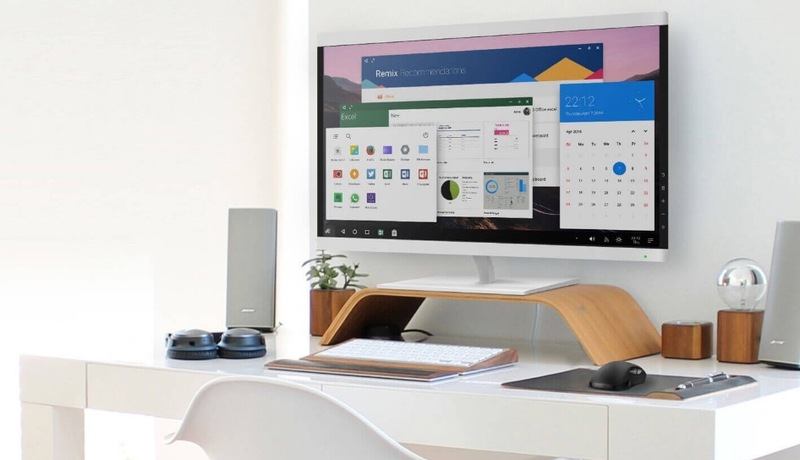 We’ll update this post whenever we found an easier way to install remix os on HDD, while you don’t have a USB device. Could you have this when you already have Ubuntu alongside Windows? Never did this. But You can make a persistence USB for the remix os. So it won’t interface with both Windows or Ubuntu os loader. Older remix os version were using the grub loader, not sure as the newer version comes with an official installer. It did happened sometimes with the old builds, make sure to use the latest remix OS build. I have a 64-bit laptop so it works fine. THough, I had some problems while testing on a 32-bit old computer (with the first alpha builds). Try to boot again from the USB. I’ve got a Asus x206h. It’s totally useless with only 32GB eMMC memory. Without anything installed but chrome browser, the thing is paralized. Windows and java wants to apply updates, but they can’t because of sufficent disk space. (4.12 free of 28.3) it says. Now i’ll try installing Remix 3.0 but i’m worried if there will be problems with wifi drivers etc because i wanna get rid of windows completely. @Ozgur, recently I bought a secondary laptop which has Intel Cherry trail CPU with 32 GB memory. I can bet that the remix OS won’t work properly. Also, you will face driver issues like this sound won’t work, and the WiFi doesn’t even show. (I tested Remix OS, Phoenix OS, Ubuntu, Kubuntu, Zorin OS) Nothing worked. If you really want to dump Windows.